This post was written by Erin Hughes and originally appeared on Winrock International's website. These women and their families depend on seasonally flooded wetlands for their livelihoods and subsistence. The fresh water wetlands known as beels and haors are ecologically important and serve as a critical source of food, especially fish, for thousands of families. Fish are an important source of protein and micronutrients, but overfishing has made the fish scare, depriving fishing families of an important source of dietary protein. Fish are also important for local and migratory birds, such as the Siberian crane, which feeds in beels and haors as it travels to and from Siberia. CREL built on MACH’s work and used a market-driven strategy to identify key livelihoods appropriate for the communities. Starting with a market study, the staff identified markets for goods and services suitable for people to produce in specific locations. We found that people with small plots of land could produce high value agriculture including horticulture products like vegetables or fruit or livestock such as poultry. CREL provided training on how to access markets and raise crops. The project also trained local service providers to be lead farmers who learned more about how to troubleshoot problems and provide linkages between beneficiaries, markets and agrovets (stores that supply seeds, fertilizer, expertise and sometimes financing to maximize what farmers grow). For people without land, CREL identified other income opportunities, such as ecotourism and home-based handicrafts such as those created by Winrock partner Pebble Child, which trained women to crochet toys that are sold in the United Kingdom and the U.S. In addition to agriculture, CREL staff provided livelihood training — how to establish plant nurseries, crochet prayer caps and produce other handicrafts — as well as ecotourism and service sector jobs. 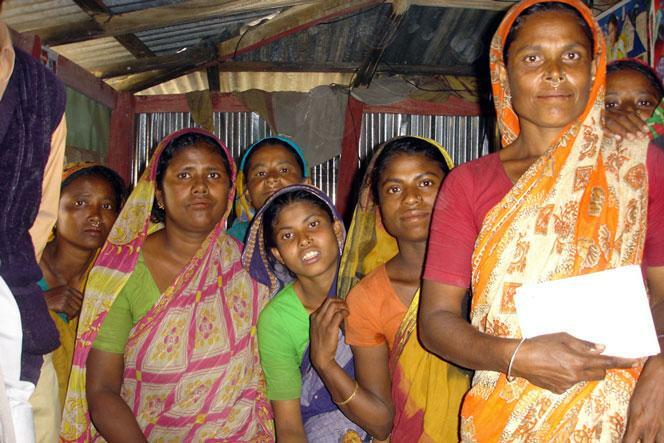 CREL also helped establish savings and loan groups to help women save money and access credit. Shoroma Rani Mondal used to have a hard life. Then USAID’s Climate Resilient Ecosystem and Livelihood (CREL) project, implemented by Winrock International, taught her a new way to grow vegetables.